← In the PROMO BIZ? If You Want Customers (& Money) READ THIS! 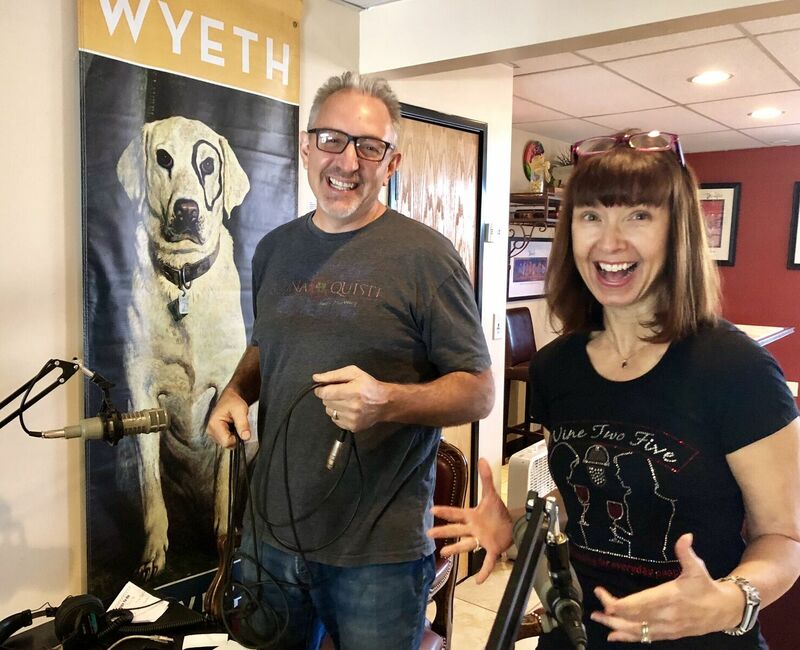 Sparkle & Wine: It’s Podcast Time! 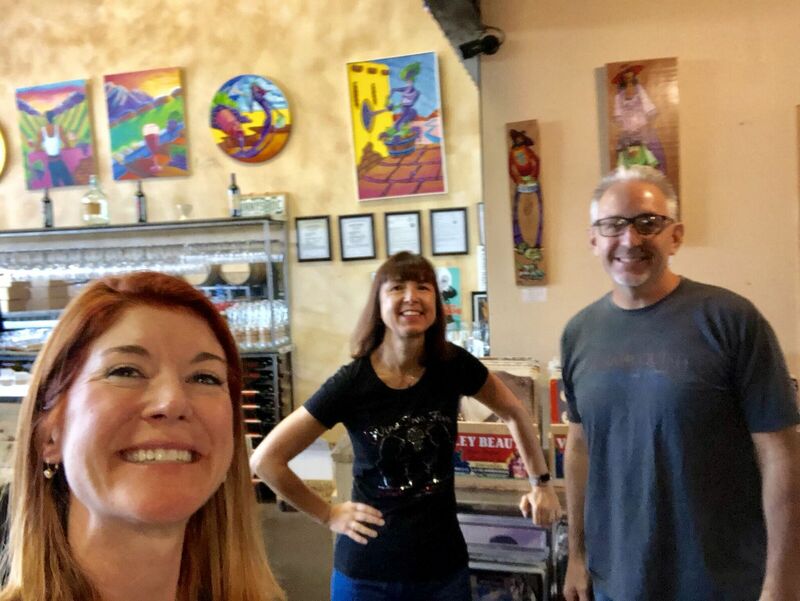 Paul Bonacquisti and Cha Cha Chavez of Denver Wine Radio (the only radio station inside a working winery) recently welcomed Val & Steph of the Wine Two Five Podcast to chat about wine, wine education, and their W25 LoCo (Local Colorado) podcast. 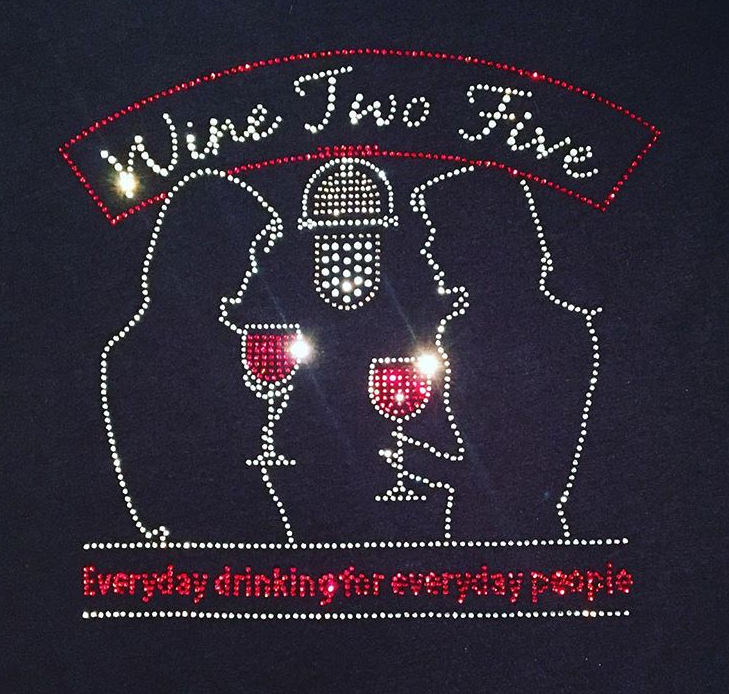 We at Sparkle Plenty Designs have been lucky enough to work with both brands and bling their logos life in sparkling rhinestones. 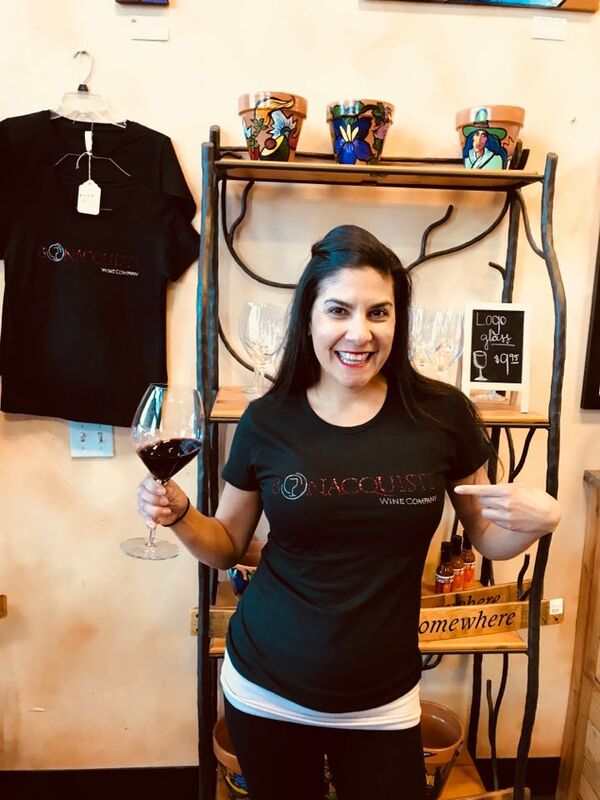 We created the Wine Two Five tote (as seen next to the mixing board), the Wine Two Five tshirts for Val & Steph, AND the winery bling as modeled by Emily of Bonacquisti Wine. Have a look at the at our Custom Design Galley to see what we do, and ASK US about creating YOUR logo, brand, idea or message in sparkling long-lasting, high quality rhinestones. BLING is our business, and we win awards for our work! NOTE: if you’d like to order any of their items, please contact them directly, or send us an email and we’ll reach out to them. 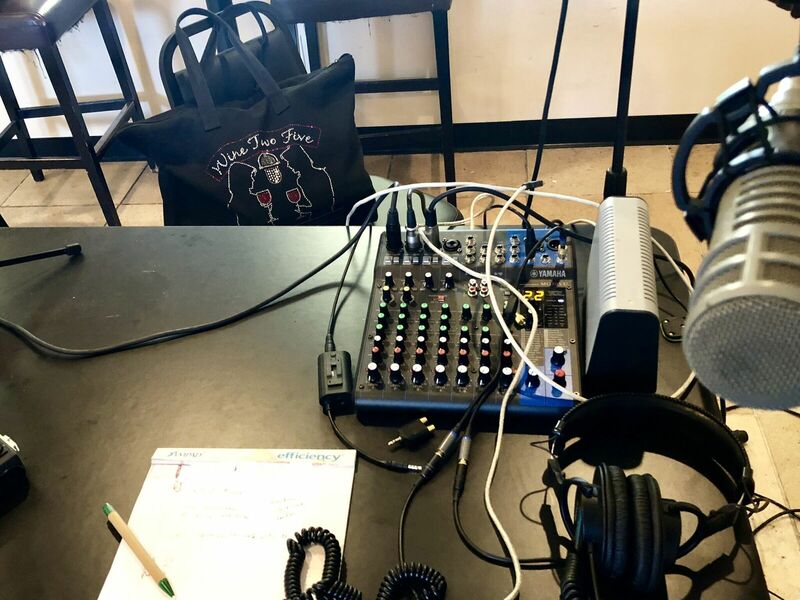 One Response to Sparkle & Wine: It’s Podcast Time!